Hey Guys!!! Can you believe the fall weather this week?? I love it. Take advantage of it and wear those shorts and sandals until Mother Nature says no more. 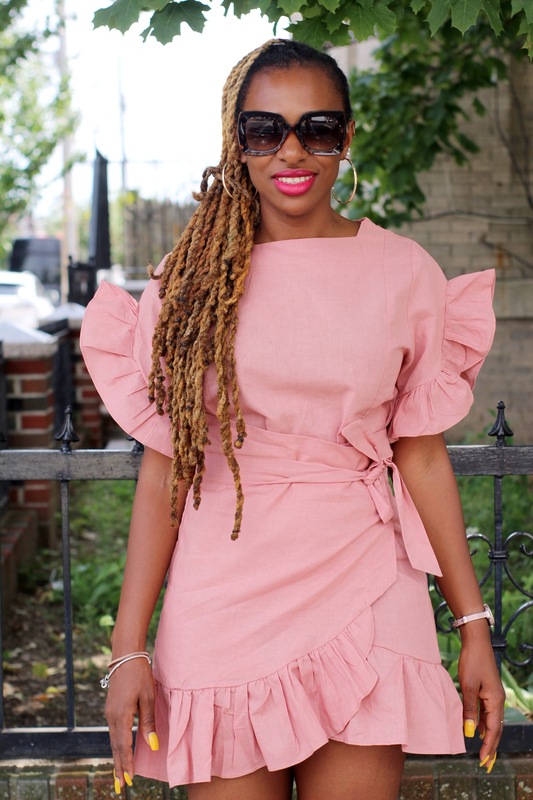 I sported a mini pink dress with ruffles and cobalt blue sandals while enjoying the weather. Thanks for always dropping by!! !